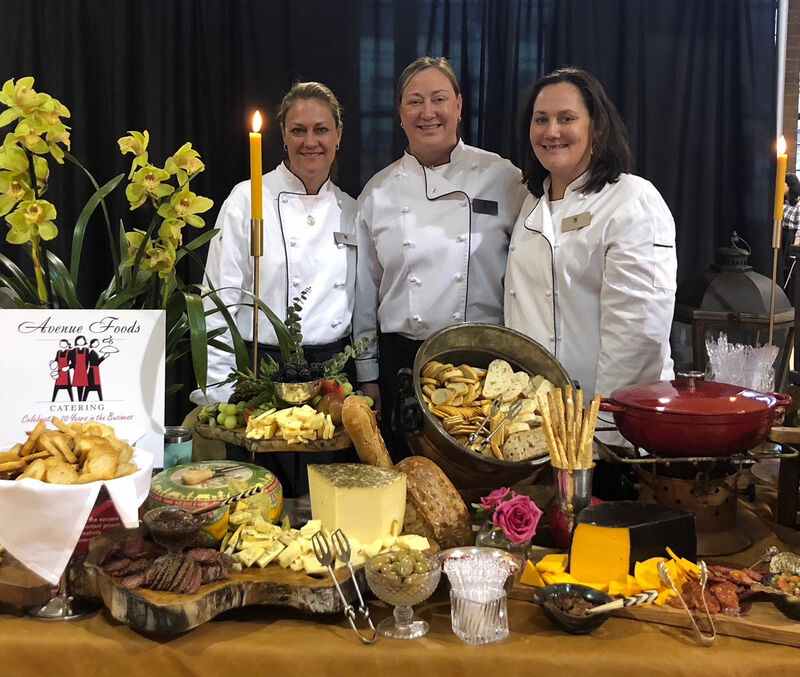 Avenue Foods is an innovative catering company located in Lynchburg, Virginia specializing in services for corporate entertaining, galas and fundraisers, social events, wedding receptions, luncheons, and much more. We offer a wide range of home cooked foods with consistency, passion, and attention to every detail. We are committed to offering catering suggestions and solutions for all your needs. We believe in exceptional service as well as exceptional food should be foremost when creating your vision for your event. Avenue Foods was established in 1996 and is owned and operated by three sisters Cissa Willman, Laurie Ward and Carrie McCall. They grew up in the industry under the watchful eye of their mother, Cissa Basten, and cousin, Laurie Babcock who helped them create their love of food. Our mission is to provide our clients with beautifully presented food using the best ingredients and best service possible. We look forward to meeting and working with new people daily. Please consider us for your next catering event.